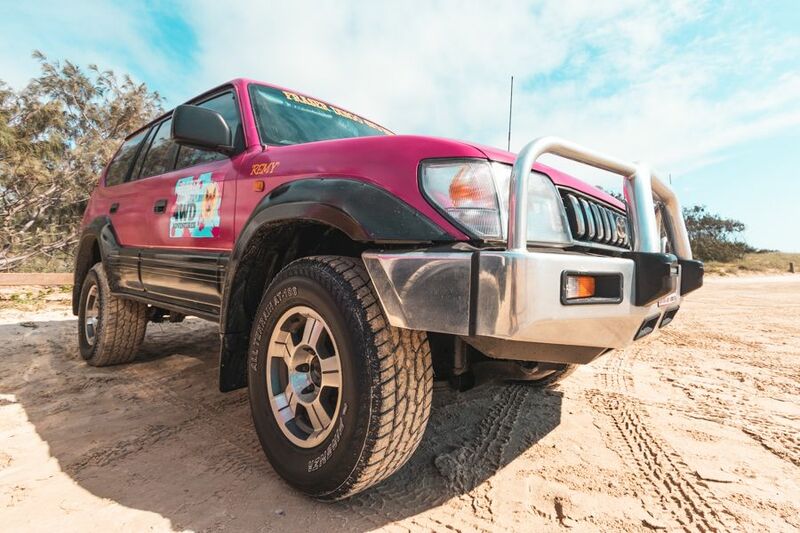 If you want to drive on Fraser Island and enjoy the freedom of your own vehicle, then Fraser Dingo 4WD Hire is for you. This is the best option for a family or group who want to travel around this large sand island in an air-conditioned 4WD Jeep Cherokee. Choose from single and multi-day rentals and enjoy Fraser Island for as long or as little as you'd like! Stay away from the crowds and make your own day trip with Fraser Dingo 4WD Hire. Hire your vehicle now. Add camping gear at an extra cost and enjoy the wilderness of Fraser Island! Morning of departure pick up vehicle at 7:30am and depart to the river heads barge. Group Vehicle Rates are for 4 guests, please enquire for 5. "We booked a 4wd hire for two days. We got everything you'd like to find in a rental company for a great trip on Fraser Island : - they got great cars, easy to drive and in good condition - they provide good briefing and safety precautions - they take care of their customers, listening to them and not blindly charging them More than that, they put a lot of efforts to organize the trip beforehand according to the tides, and make sure you have a good experience on Fraser Island. They go as far as booking the camping sites for you. Forward-thinking company, keep it up !"